The results of the tenth class did not come...Inter Result come not more then 24 hours.But corporate and private college advertisements have reached a high level.Admissions process for corporate and private intermediate colleges is crucial.Inter results revealed...Whether ...Corporate and Private Colleges Staff ...Runs into villages.Months prior to the disclosure of intercollegiate departments, some of the colleges were going to villages and started to attract students. Inter Colleges set up a PRO system and take up admission. On the one hand, the government and the government are not in the forefront. In the rural areas, corporate and private intermediate colleges continue to propagate hoarding. Already many colleges have taken admission process to the end and some colleges are running away from admission. Nana grass has been used to fill 100 per cent seats in their colleges. Other colleges have started taking tens of thousands of branches and enrolling students. 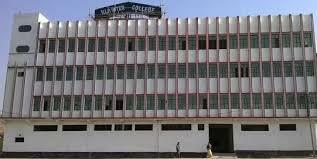 Admission to one of the inter-college colleges is going on in the villages. Collegiate owners are sending the PROs into the field level and tampering with government, private teachers and rural practitioners. As a result they are hiring up to Rs 10,000 per admission. The students are more interested in obtaining the admission in the colleges they refer to, as the students believe their parents along with their parents. College owners are filled with seats by RMs in villages. Inter-admission has already been done across the state. Private and corporate colleges in Hyderabad city have been heavily admitted from areas such as Nalgonda, Warangal, Hanmakonda, Karimnagar, Suryapet, Bhuvanagiri, Kamareddy, Nizamabad, Kodada, Kalvakurti, Mahbubnagar, Nirmal and Sirisila. Collegiate owners have been involved in these areas from the end of the tenth class examination. If the inter-results are available, admission is not available .. POROs say that the fees for the existing fees will be doubled. The parents took admission in their respective colleges beforehand. Karimnagar, Adilabad and Khammam, where hotels and lodges are being rented for their staff for interlocutors. There are currently no corporate and private colleges working in the next academic year. Praise. If there are no adequate qualifications .. Admissions are offered in college. Appointment of Vice Principal and Principal Level posts along with special allowances for those who have more admission than Target. The colleges of the colleges claim to be more open to the admission of the admission than the talent they need to teach in inter.